Here are the boys doing falls festivities. 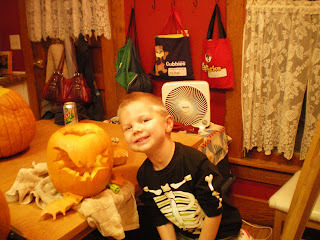 David carved an angry bird, Caleb carved a cyclops, and Nahtan carved a bat. Caleb is a night ninja - although all night he was asked if he was a pirate. 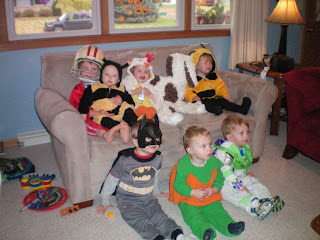 Nathan had so many dress up costumes to choose from. 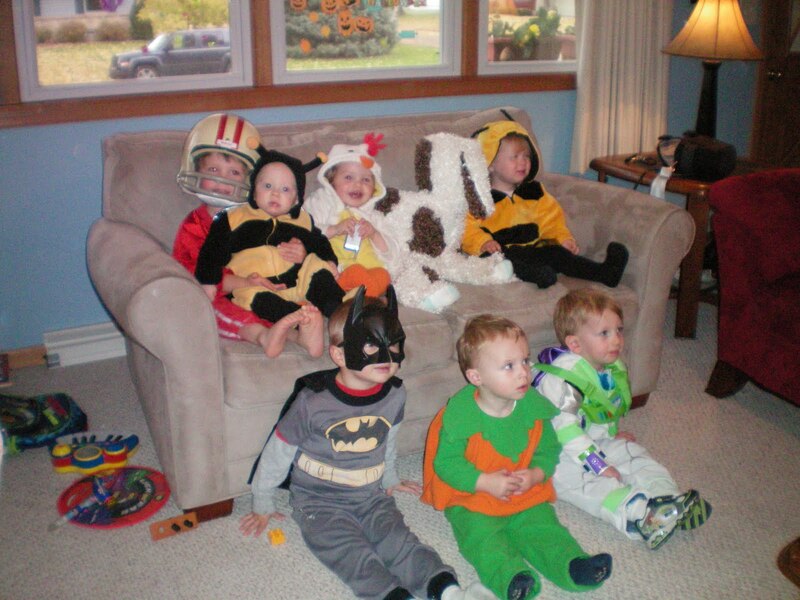 Here is a picture of a costume party that Nathan went to as Batman. I didn't take the other older boys. It was nice to spend some one on one time with my last preschooler. Nathan was so excited to go with no brothers and really enjoyed some littler kid games at Asher's house. Asher is a good friend for Nathan, very sweet little man. 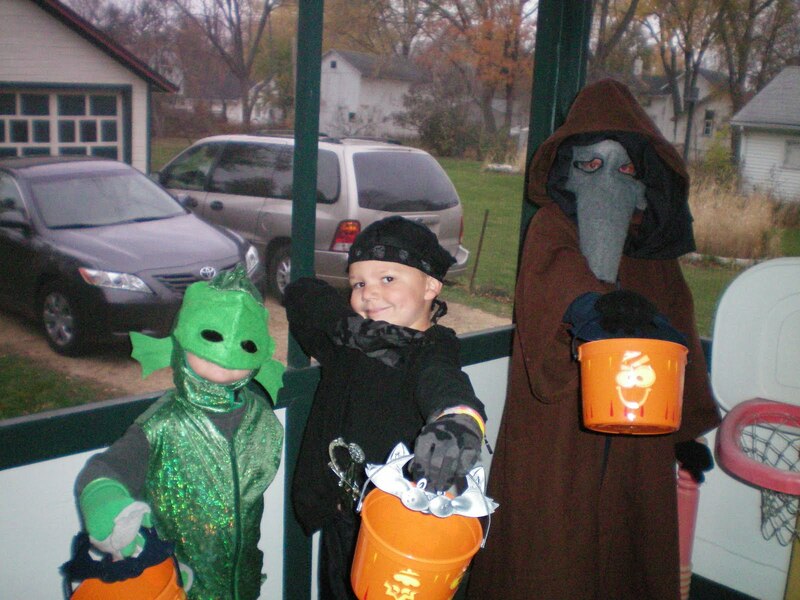 This year while out trick or treating with the boys, I was really struck by the fact that time is going by rapidly. 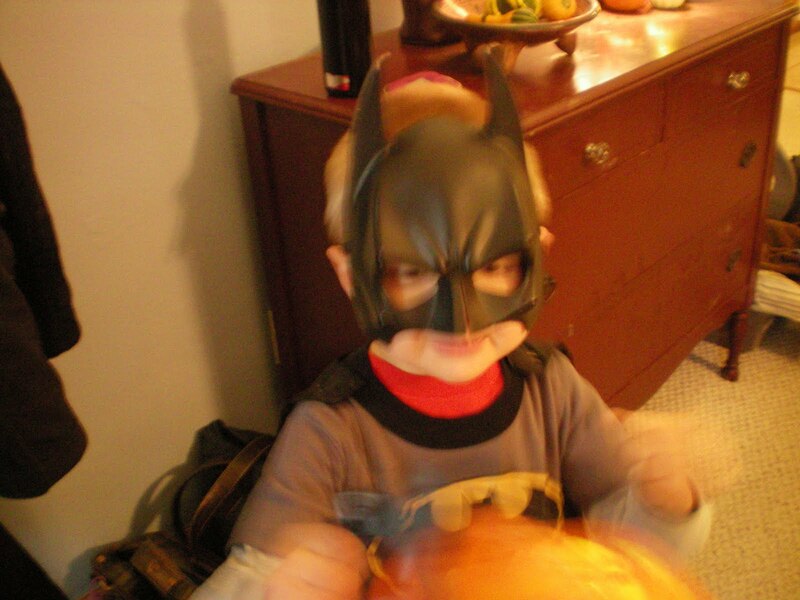 David is almost too old to trick or treat. Nathan is learning to read. At the preschool party I was sitting back realizing that I was the oldest mom there. I was the mom who had the oldest kids. I really miss the train table play time from days gone by. When did that happen? 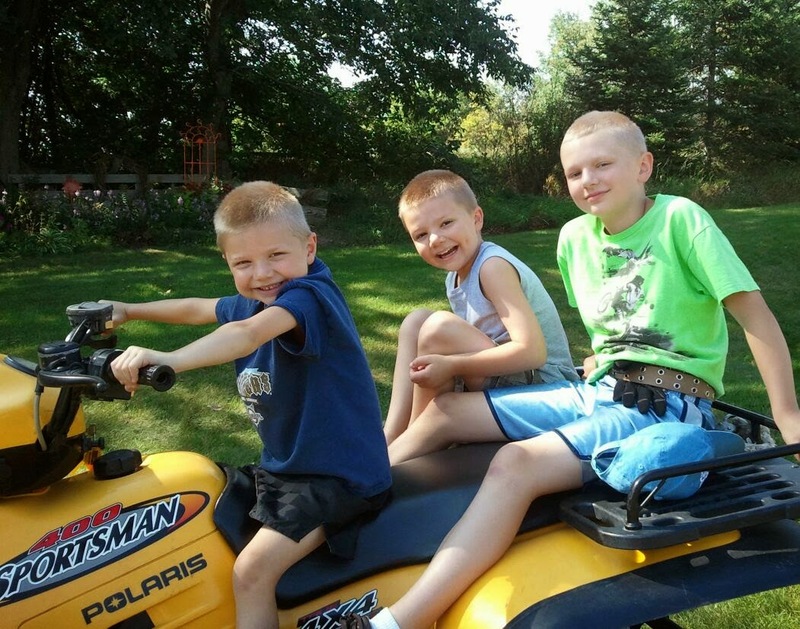 Driving them to swimming, guitar lessons,playdates and Awana. It is a struggle to stop and smell the flowers in this stage of life. Maybe I need to put the flowers I want to smell, in the van!? !